We provide individual equine assisted counseling (EAC) for adults, adolescents, and older children. EAC gives you a safe place to explore and gain awareness about yourself and enables you to feel more relaxed by being in a natural setting and spending time with a horse. 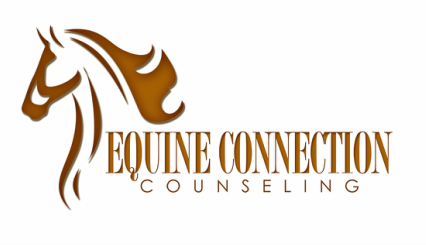 We tailor our equine assisted counseling services to you and your unique needs. We utilize a relationship-focused approach to EAC called Relational Equine-Partnered Counseling (REPC) in which the relationship that you form with your horse will become a major component of each session. In this approach, you choose a horse to work with and with whom you will engage in a number of different interactions and activities related to your concerns and counseling goals. Although some talking is involved, this form of therapy is largely experiential - rather than simply talking about your problems, you will have the chance to explore them while in relationship with your horse in the here-and-now. Through interaction with your chosen horse, you will gain increased understanding of your thoughts, feelings, and behaviors. You and your treatment team will work together to help you to gain insight and practice new life strategies while with your horse that can be generalized to the rest of your life.